Next up on the list of holidays is St. Patrick's Day. 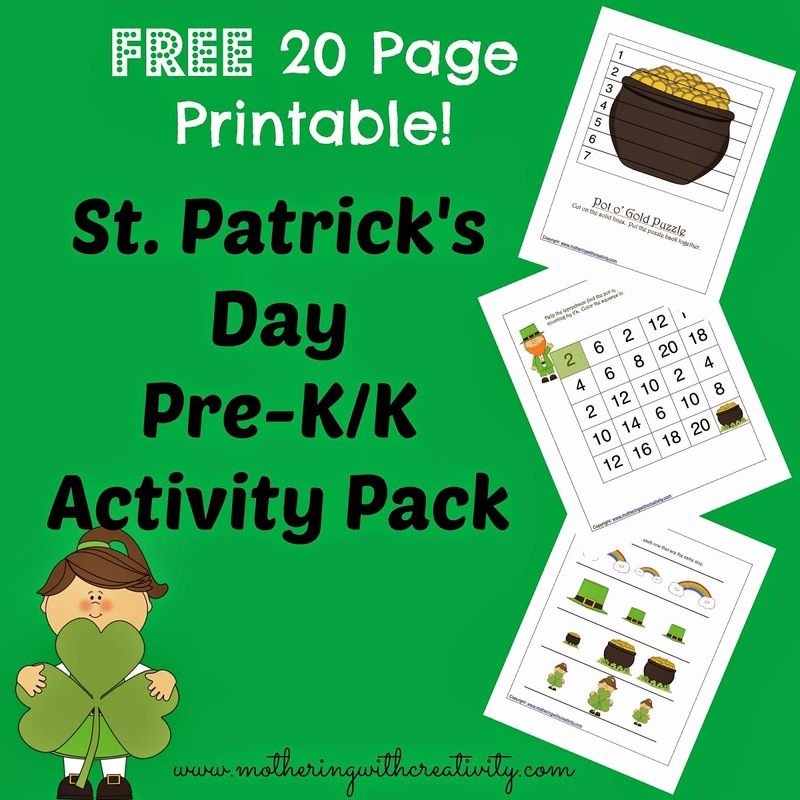 Last year, I designed this St. Patrick's Day activity pack for preschool and kindergarten aged children. It is a 20 page printable pack that includes cutting, tracing, glueing, creative writing, coloring, counting, and more! And of course, it's all St. Patrick's Day themed. Now, some of these sheets are great for repeating. I suggest either laminating those sheets (and filing them away for next year, too), or slipping them inside a plastic page protector. Then, your child can use an Expo marker to do the activity over and over again! To get this activity pack for FREE, head to Teachers Pay Teachers HERE.